This position is offering $20 – $25 per hour with paid vacations, paid holidays paid sick days, guaranteed hours, and use of family car! All travel expenses will be covered while traveling and you will be paid hourly for all hours worked. While traveling you will always have your own accommodations and will be encouraged to explore and do outings with the little one. Someone who can do research on fun places to go in new cities would be ideal. It is important that their nanny is available and enjoys traveling. 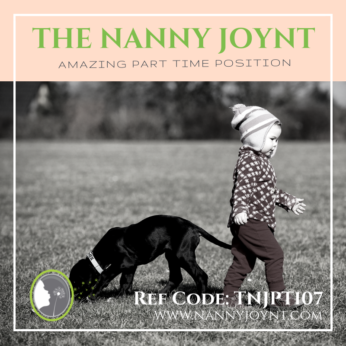 This is a very busy and active family looking for a nanny who is organized, attentive, active, self driven & has a genuine passion and love for their child. Someone who is kind hearted, happy and loving. They need someone who understands privacy, safety and discreetness and can maintain professionalism while caring for their daughter. The family enjoys being healthy, both mom and dad are vegetarian and a healthy diet is important to them. They have a schedule they like to stick to and would love their nanny to be able to keep things on track and running smoothly. This family does have two loving and sweet French Bulldogs that will need fed and watered each day. Letting the dogs in and out and taking them on walks with you would be great if you are comfortable doing that. A true dog lover would be especially nice for this family. There could potentially be some dog sitting opportunities as well. They are seeking a nanny who is confidential, outgoing, very engaging, safety minded, discreet and will focus on their little girl 100%. This family is very invested in their family time and enjoy spending as much time together as they can. They really strive to keep the focus on communication and relationships with one another. They have a lot of fun together and enjoy spending time with their family every chance they get. Although it can be challenging at times to work with a high profile family, this family is absolutely amazing and whoever lands this position will be so lucky!